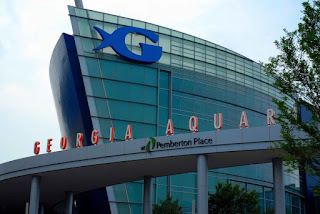 If you haven't visit the Georgia Aquarium brace yourself. This is a beautiful place and an amazing site to see. 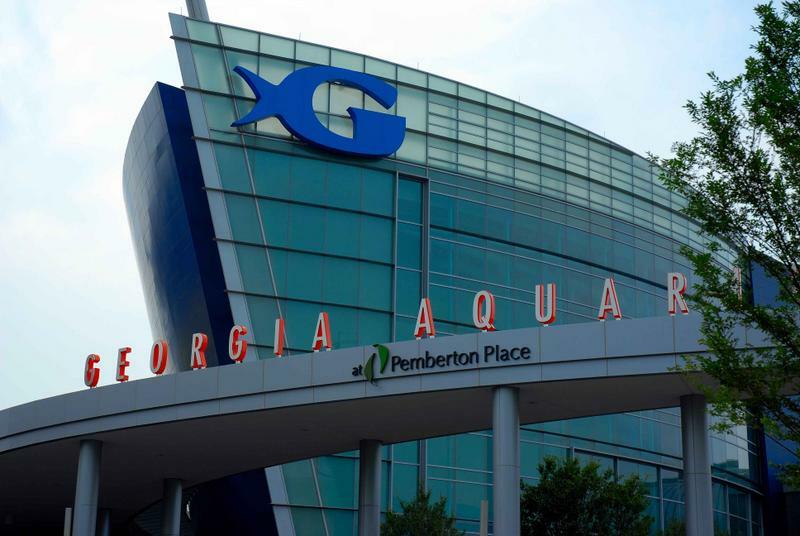 Georgia Aquarium is considered one of Atlanta best tourist spots and is the world's largest aquarium with more than 8.5 million gallons of marine and fresh water housing more than 120,000 animals of 500 different species. I was lucky enough to win 4 tickets to the “Family Fin Fest” event. I was able to enjoy private access to the aquarium and have a kid-friendly dinner with the whole family. It was wonderful seeing so many families interacting and supporting each other. I personally loved watching the kids laughing at the sight of the beluga whales. I had no idea the whales love playing with a green blanket. So cute!! Fin fest is a fund-raising events held throughout the year to benefit Marcus Autism Center, an affiliate of Children's Healthcare of Atlanta. As a not-for-profit organization, Children's Healthcare of Atlanta relies on fundraisers, donations, and volunteer support to be able to support many initiatives such as clinical excellence, research, teaching, wellness and charity care.